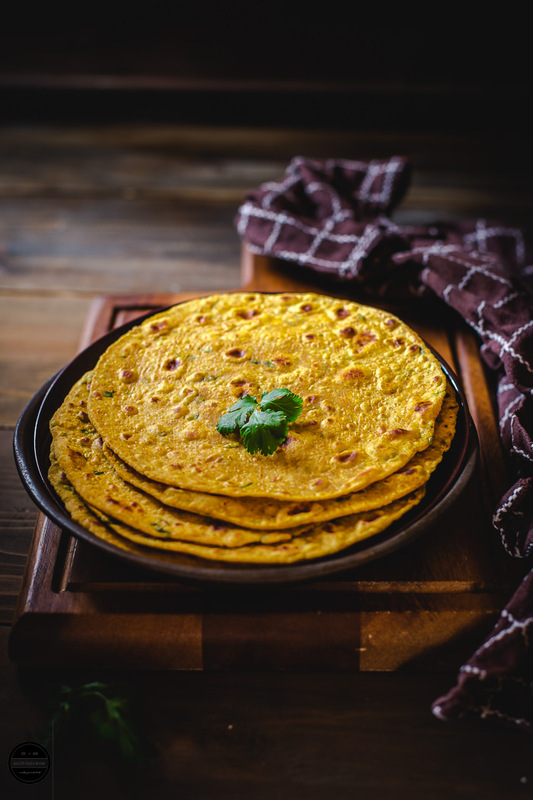 An authentic and staple dish of Haryana Besan Masala Roti ( Spicy Chickpea flour flatbread) will make you drool, once eaten surely your taste buds will be so pleased too. A tasty and delicious dish prepared with humble ingredients such as Besan (gram flour) and a few basic spices that are easily available in any Indian kitchen. Last week I made Besan Masala Rotis, and today I have a story to tell you. Life is full of challenges, no matter who you are? rich or poor, black or white, man or woman, when they are in your life, how you respond to them that makes a difference to your life, either they are thrown by life or people. Tell you the truth, I don't like to face any challenges, and I like to live in my comfort zone. But then recently I joined a group called Shhhhh Cooking Secretly Challenge, the brainchild of Priya's Versatile Recipes and currently, lead by Mayuri of Mayuri's Jikoni. Because I just joined the group recently this month, I do not have a partner who can be paired with me, so Mayuri gave me two secret ingredients Besan and Amchoor Powder, and asked me to prepare a dish with these two ingredients from the Haryanvi Cusine. Let me confess here, I did not know anything about Haryana or Haryanvi cuisine, my knowledge of Haryana was that this state belongs to India that's all. I had to do a quick research on this state and its food culture, in the end, that quick research became an interesting read and almost 2 hours I read about this state. I came to know that actually, Haryanvi cuisines has a great influence of their neighbouring states like Rajasthan and Punjab and their eating habits are so simple and mostly vegetarian and their dishes are made with fresh, simple and wholesome ingredients which are easily available to them. Surely they love their dairy products, which can be seen in their recipes. So while going through their recipes, I was literally drooling and I wanted to make this and that, but because I had to stick with the ingredients I was given, which were Besan and Amchoor Powder ( Dried Mango Powder) The dish I chose to prepare was Besan Masala Roti. Usually, in Haryana, these flatbreads are eaten at breakfast times. This dish has a good source of protein, a dish that is so easy to make and tastes simply delicious. It can be paired with any type of Indian sabji, curry or raita Or it can be eaten on its own with Tea/Coffee. A delicious and flavourful Haryanvi (Indian) style flatbread prepared with chickpea flour and basic spices. In a big and wide plate place all the ingredients except oil and water. Mix everything by hand, then add water little by little and knead a pliable dough. Divide the dough and make round balls. Dust the flour on working surface, first roll one ball into the circle. Heat griddle or tawa on a medium heat. Enjoy with sabji, raita , Chutney, yogurt or tea. This looks amazing. Your pictures are drool worthy. We call this Missi roti have grown up with eating this missi rotis. They are delicious. Glad you are part of the group and will look forward to seeing your lovely posts and brilliant photography. Yes, this cuisine did require a lot of reading as it has a lot of influences from nearby regions and many dishes are winter based produce so finding them was hard. The Masala roti looks fabulous with great flavours and a great idea for breakfast or lunch. This resembles the missi roti somewhat. Glad to see you in the group. I am on a break for a while. Will join you soon. Nice twist to your roti dear! Looks very yummy and perfect! We called it Missi Roti. 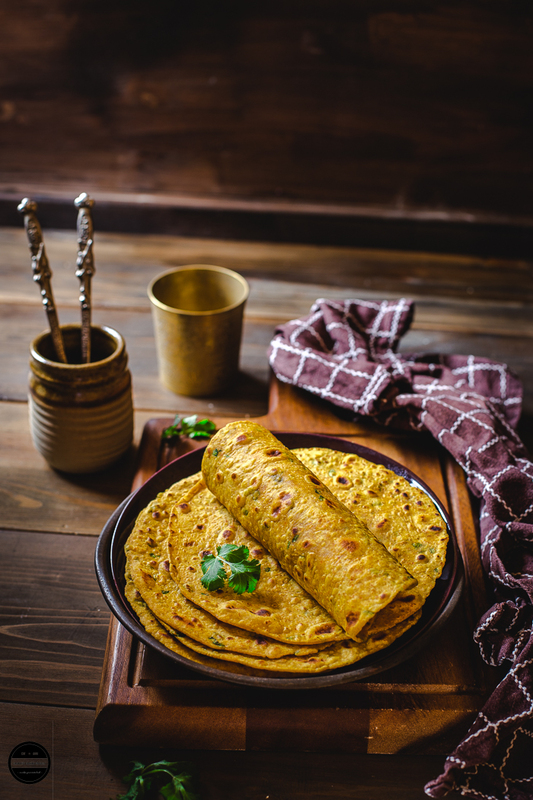 I love this besan masala roti recipe. It's easy and healthy. Will be perfect for kids lunch box as well. 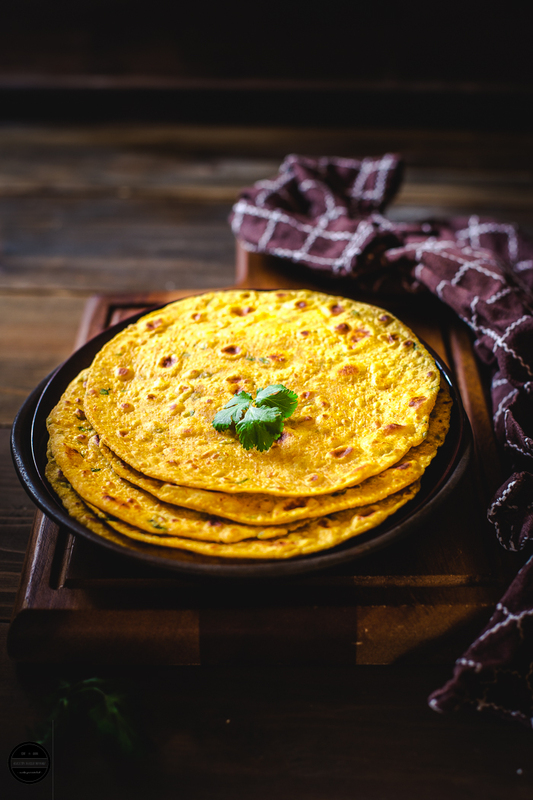 Sometimes the simplest of the recipes are the best ones this besan masala roti looks so tempting have to try this for breakfast tomorrow for sure. Glad you joined the group finally Jags, am happy that you have finished the challenge without any difficulties as well. Masala roti looks absolutely fabulous and prefect to enjoy with some pickles. Stunning clicks as always. Jagruti, Glad to hear that you are better. You sure rose up to the challenge! This roti looks delicious and soft! Loved your write up too. I agree, exploring different cuisines is the best way to know other cultures. A delicious and flavorful Flatbread is best for breakfast with tea! I love this kind of breakfast. 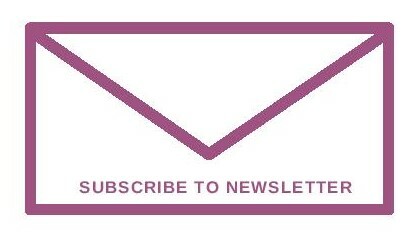 Welcome to the group, Jagruti; and yes, every month is a journey of discovery. I found Haryanvi cuisine to be quite a challenge as it did not seem to have an iconic dish such as is associated with many of our states. This roti looks awesome and will be a welcome change from the usual. Welcome to the group Jagruti. 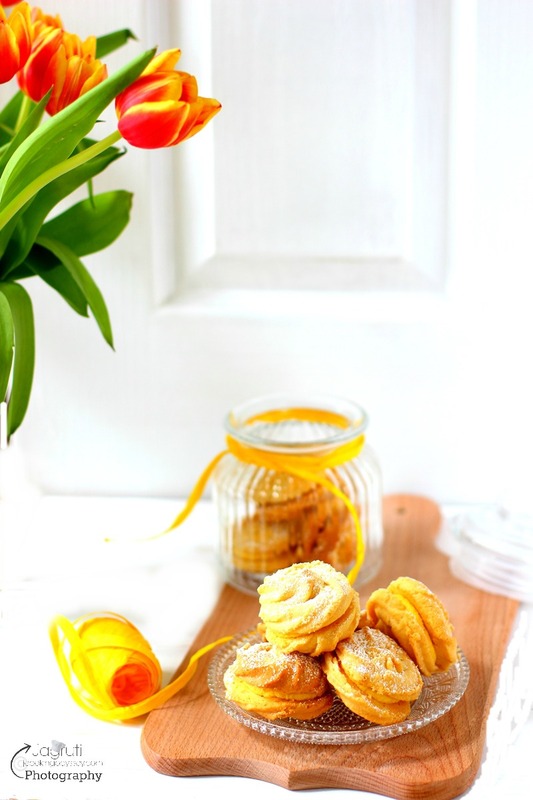 Love the clicks and the besan masala roti looks so tempting. I guess its a bit like our thepla but with different taste because of amchur. Welcome to the group Jagruti. The clicks are awesome and the besan masala roti looks so tempting. A bit like our theplas and yet different. We make this besan paratha for our breakfast with tea in cold winter days. I also add some finely chopped onions in it.Love the magnificent pictures and composition. This is my perfect summer breakfast with lassi and mango slice. I add chopped onion in this. You have presented this simple dish so well. Roti looks perfect and delicious.. And loved the way you have presented it. Tempting share ! Welcome to the group Jagruti ! 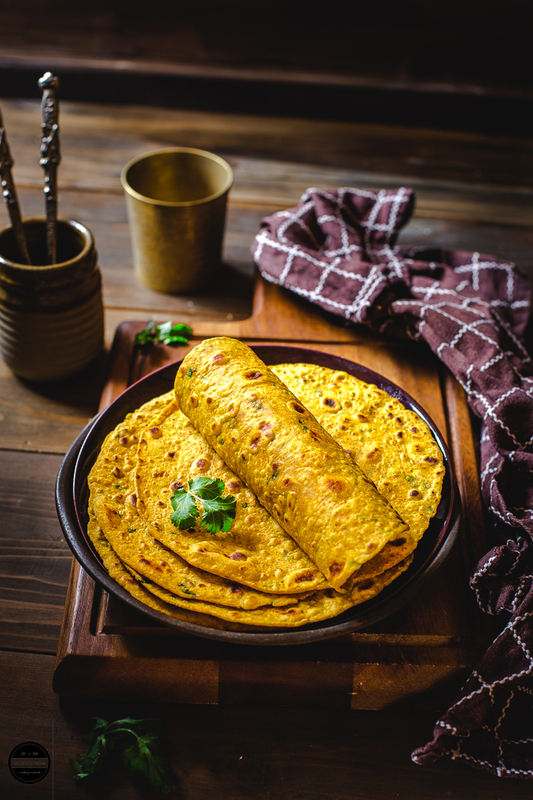 The besan masala rotis look super inviting and your presentation is just awesome ! The masala roti looks so delicious and ideal for breakfast. I can eat it with some pickle and curd, lovely share Jagruti. Those rolled up rotis looks so tempting.. Healthy and filling breakfast menu..
Glad your health issues are behind you. Loved the pics you have shaped. They look amazing.